Clothes can do great things, and The North Face Better Than Naked™ Split Women's Short does most of those things better than anything else. Take for example the circular-knit liner. It's made with FlashDry™, a technology that actively pulls moisture away from your skin for dry comfort even on the hottest days. 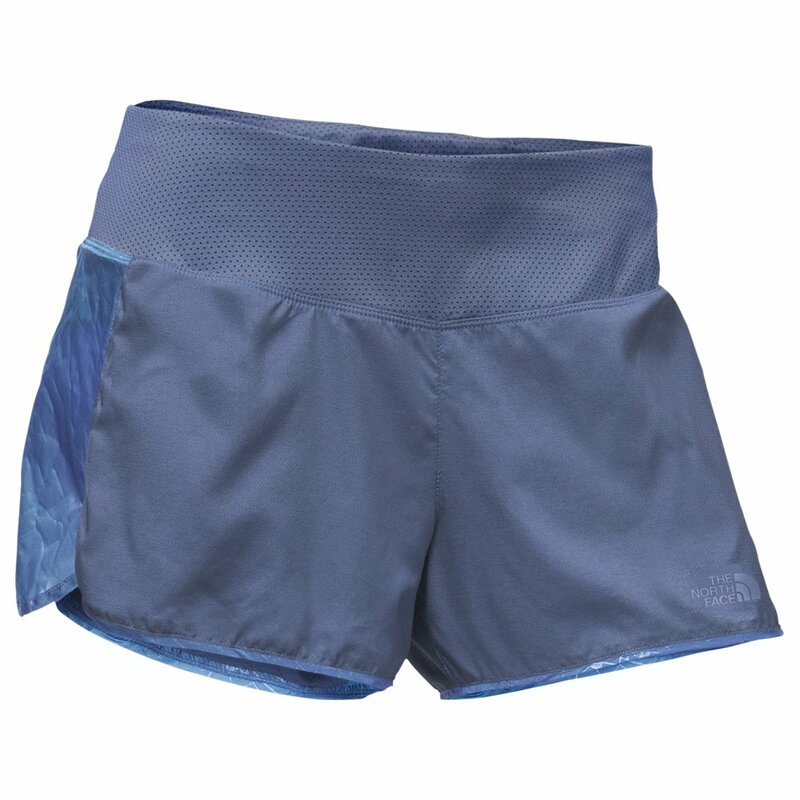 And the outer short is made with stretch panels that improve ventilation and allow for complete freedom of movement. I love these shorts. They're light and quick drying - perfect for summer runs. The kangaroo pocket easily holds my iphone and a couple other things, my key goes into the zip pocket. Some don't like the semi-sheer quality or the material of the side panels but they don't bother me. I use the BTN shorts for running and have the skort for SUP. I'm 5'2" and 112#, bought a small and the fit is just right. The only problem is that that the side panel hems are a wreck... the material is fraying and separated from the hem, which hangs down all by its lonesome ... on both my skort and shorts. It's terribly disappointing because I love the BTN shorts and skort and thought I had finally found the perfect shorts. Best running shorts I've EVER owned! This are by far the best running shorts I have ever owned. They are lightweight, move with your body, and look amazing! I am usually an XS or S and ordered XS, they fit perfectly! Definitely recommend, please add all the colors! Great secure pocket to store keys/id....and bigger pouch pocket for gus/gels....love them! I wore these shorts for my half marathon over the weekend. I was a little skeptical of the side paneling, but they were so light and comfortable. The pocket in the back is perfect for keys and gels. I didn't experience any chafing either! I wore these with the BTN shirt and it made for a comfortable race day. Really does feel like you're wearing nothing at all! I bought these for a trip to Hawaii where I knew I would be engaging in hiking and other activities that I wanted comfortable clothing that was versatile and practical as well. Nothing but perfect! These shorts are just what was needed.